Get An SUV That Holds The Best Value in its Class! If you are looking for an SUV that is just the right size with the perfect balance of style and comfort, then the 2014 Honda CR-V EX is just the right fit. The Honda CR-V was the best-selling SUV in 2012 and 2013 for good reason. When you purchase a pre-owned vehicle, you expect a few things: quality, reliability, and a great price. Honda vehicles offer you all the previously mentioned plus the best resale value on the market because they uphold through the test of time. 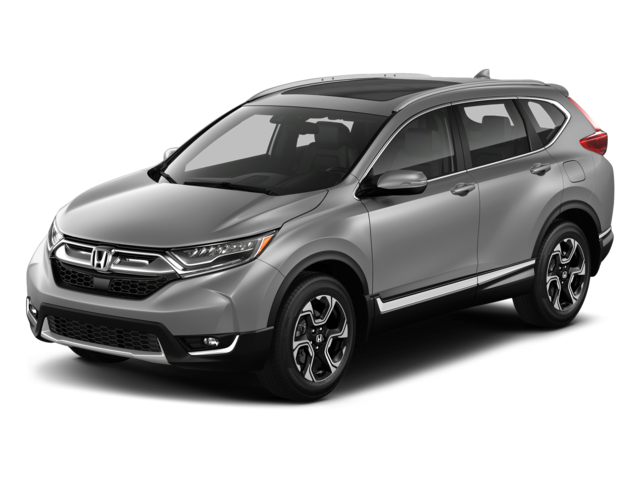 The 2014 Honda CR-V EX is a great compact crossover SUV with quality, style, space, and reliability that Honda provides time and time again. Don’t take our word for it though. J.D. Power rates the 2014 Honda CR-V EX at a 4 for overall quality and 5 for reliability. Autoblog.com gives a total rating of 4 out of 5. And Cars.com rates the SUV a 4.3 out of 5. To start, this compact crossover SUV seats 5 passengers comfortably, runs on a 2.4L, 4-cylinder engine with the option between front-wheel or 4-wheel drive. The overall average fuel economy rating is estimated at 22 mpg city and 30 mpg highway. Not too shabby for a family SUV. The exterior is simple with smooth lines and accents with purpose. Sitting on base 6.5” wheels with silver accents, this SUV has a refreshing simplistic design. You can opt for 17” 10-spoke alloy wheels if you choose. Side window trims have chrome accents to match the chrome grille. And front fog lamps and roof rack rails are available. The interior combines comfort and space seamlessly without compromising cargo space. The 60/40 folding split-bench rear seating is handy if towing extra cargo. There is plenty of space for drinks with front and rear cup holders. Other features available are the valet function, driver foot rest, cloth door trim, outside temp gauge, air filtration, heated front seats, voice-activated dual zone and front automatic air-conditioning. Your electronic goodies include added speakers and higher stereo wattage, radio/CD, Bluetooth streaming audio, and Pandora music streaming with steering wheel function controls and display screen sitting center console. Navigation with voice recognition and touchscreen display are optional. Honda never dismisses safety with front, side and rear airbags, electronic stability control, side impact beams, ABS and driveline traction control, and rear camera to name a few safety features. If you want an SUV that holds the best value in its class, makes a great family vehicle, has plenty of space, is manufactured with quality in mind and has good fuel economy then stop by our dealership and get the 2014 Honda CR-V EX today! When buying new cars at dealerships you can spend $5-7,000 more than you need to, and you lose a lot of that value the moment the car leaves the lot. Instead of buying new, come to Major World and purchase one of our almost-new vehicles in a color you adore. Visit our Used Car dealership today, spend thousands less, and put that extra money in your pocket! Major World should be your first choice when it’s time to look for your next car. 0 comment(s) so far on Get An SUV That Holds The Best Value in its Class!